Insert screw and O-ring into front side. Layer keys and washers according to the placement that fits your needs. Add extra washers between keys if necessary. Insert pocket clip into the back side and screw the two sides together. Make sure keys or inserts swing out smoothly. Adjust tension or layering as necessary. 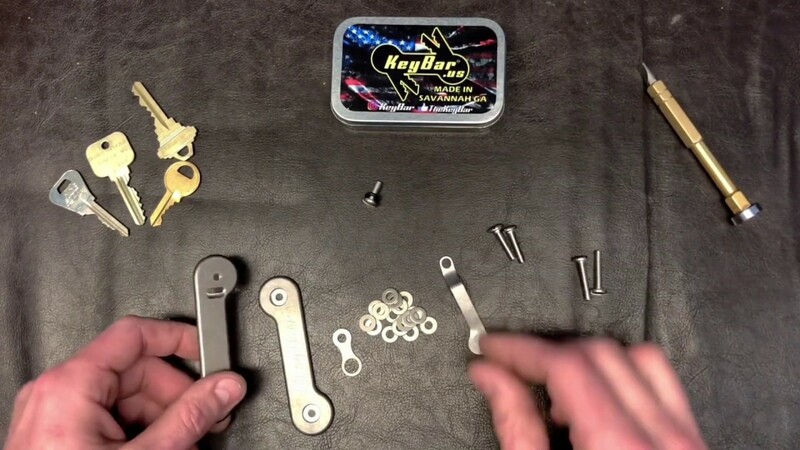 To restore the bright color on your Anodized Titanium KeyBar, gently clean with Windex and a soft cloth, old T-shirt, socks or whatever you have handy, and the lustrous, vibrant colors will magically reappear.